An exciting project which can be the source of fun for days to come! Decorate players as rival teams and play outside in the grass with them! 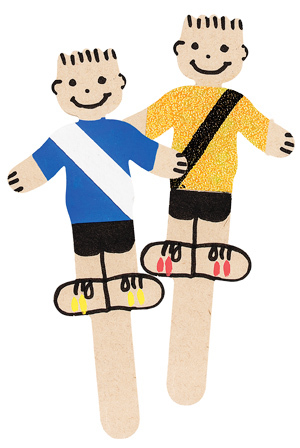 Take a Fibreboard Figure and decorate in your favourite team colours using Posca Markers and collage papers. Colour an oval Wooden Shape to resemble a football. 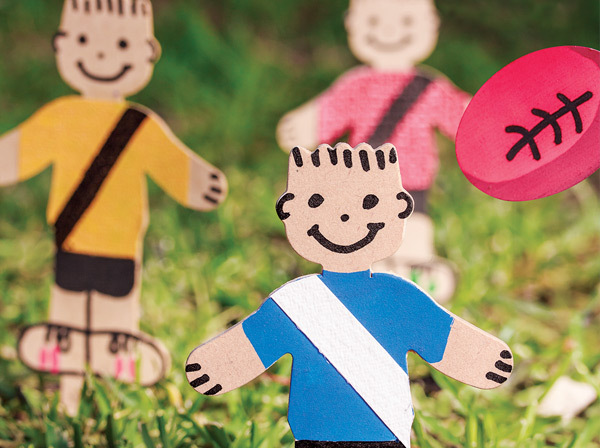 Take the decorated figures outside and play against a friend’s rival team.